Many folks will remember Shannon Okey of Cooperative Press launching the 'Fresh Designs' series. Her plan was to published a whole range of books that covered one topic, from sweaters to toys and to scarfs, that promoted indie designers and also paid each fairly. As soon as the call came out for Hats, I submitted. Naturally. 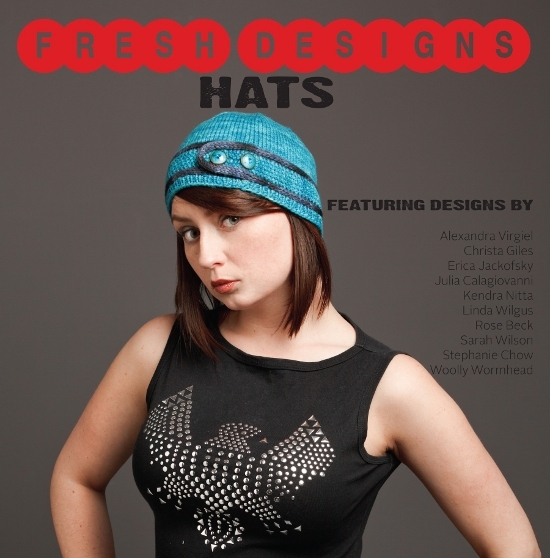 And this week has seen the release of Fresh Designs: Hats! 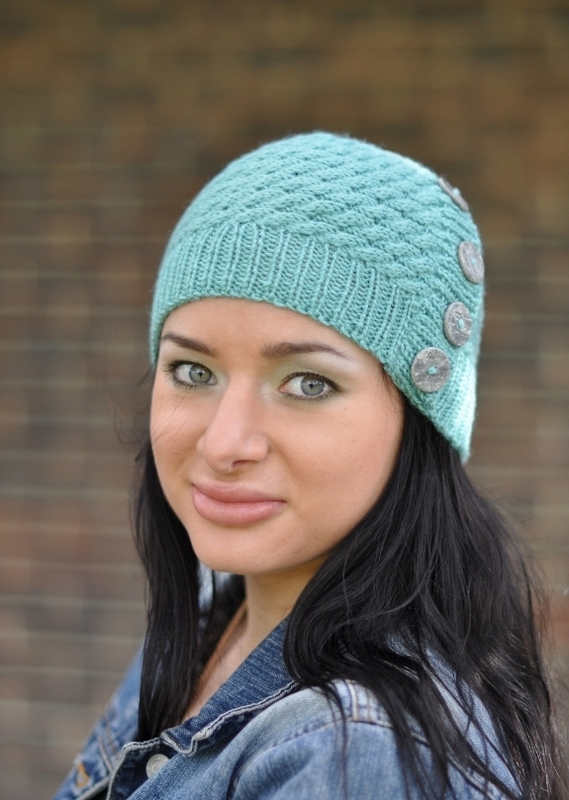 My design, 'Niamh', is a sideways cabled beanie with button band. 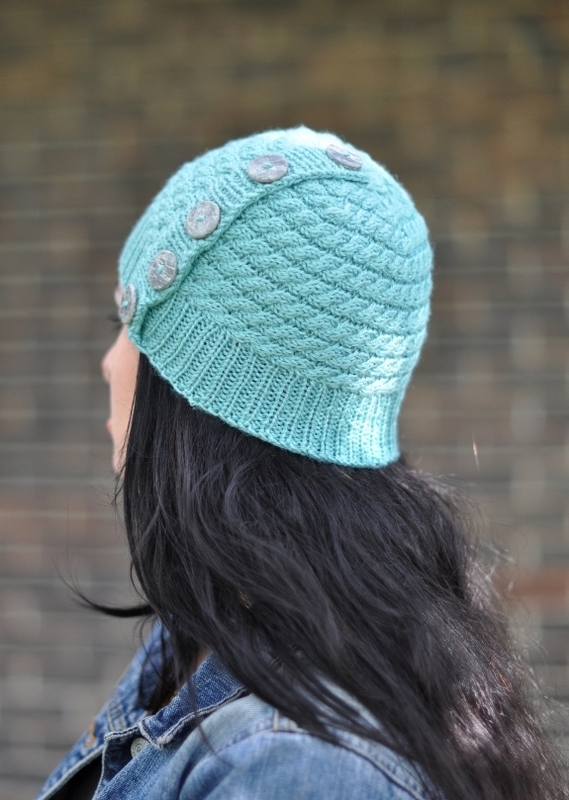 The Hat comes graded in 3 sizes; cables really don't have a great deal of give, and as always, the finished sizes are provided to help you select the best size. The pattern is also provided in both written and charted format - charts are great for these sideways Hats, to help visualise it's construction. As well as promoting indie designers, another ambition was to promote indie yarnies, and for this Hat I worked with Biggan Design's First Cross Merino DK. It comes in a seriously stunning range of colours and I had a bit of a job deciding on the final shade! It's a springy 8ply which gives fantastic stitch definition whilst being very smooth and soft at the same time. I wouldn't say it was a beginner's Hat; the short rows, the sideways cables, the picking up of stitches and a stretchy bind-off all add to the techniques required. But it's not beyond anyone either - the majority of the techniques required can be downloaded from this website or found in the techniques book that's sitting on your book shelf. I'm really interested to see how this royalties model works out; I hope it's successful and helps set a new standard for how designers are paid by publishers.